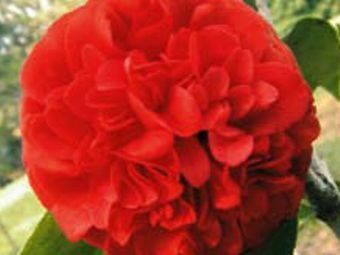 The Gainesville Camellia Society is a local society in Gainesville, Florida, whose members meet in the fall, winter and spring months and who present an annual Camellia show during that period, typically the first full weekend in January. 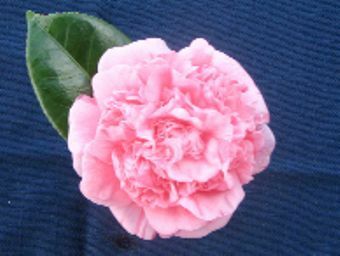 The monthly meetings are devoted to the various cultural aspects of the Camellia, including grafting, air layering, pruning, and applying gibberellic acid for earlier and larger blooms. 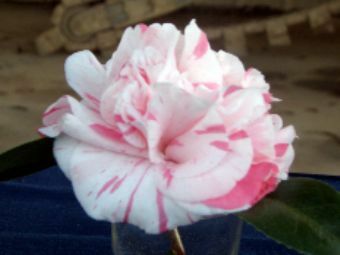 We enjoy all camellias, including japonicas, sasanquas, reticulatas, hybrids, and species. Annual dues are: Single, $15, and Joint Membership, $20. Dues are due July 1 each year. We usually meet from 2 p.m. until 4 p.m. on the third Sunday of the month from September through May. We usually meet in the GRU Conference Room at Kanapaha Botanical Gardens, located at 4700 S.W. 58th Drive Gainesville, FL 32608. The main entrance is on SW Archer Road (State Road 24), 1 mile west of Interstate 75 (exit #384). Our feature event is an interesting speaker. Refreshments are served and camellia plants are auctioned. 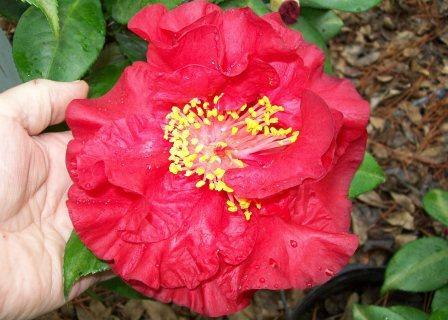 Our Camellia Show is the first full weekend of each new year at Kanapaha Botanical Gardens. 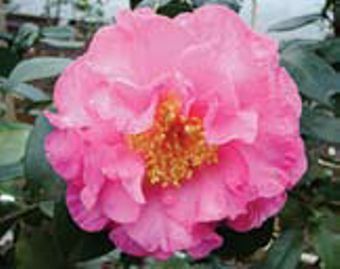 The next show will be January 7 - 8, 2017, and will highlight all the camellias in bloom. 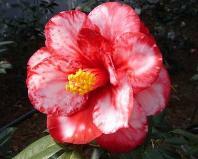 Join the Gainesville Camellia Society !!!! Sunday, September 15, 2018 Monthly Meeting 2:00 P. M.
Sunday, November 16, 2018 Monthly Meeting 2:00 P. M.
Sunday, December 16, 2018 Holiday Party 2:00 P. M.
Saturday & Sunday, January 5-6, 2019 Annual Camellia Show Saturday 1:00 - 5:00 P. M.